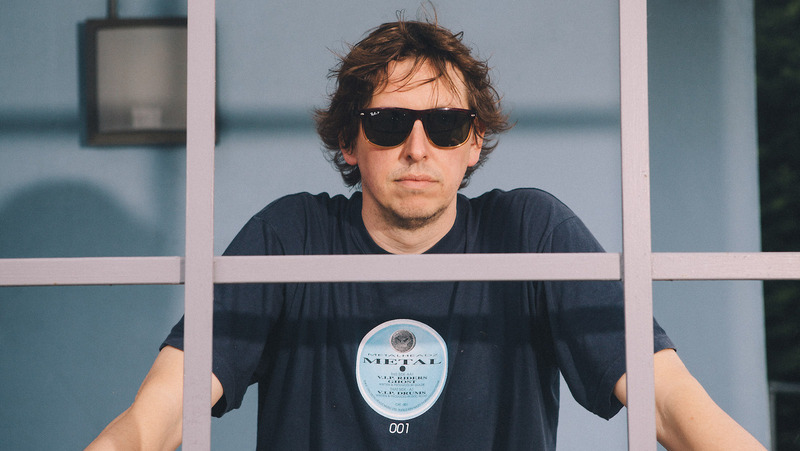 Growing up in London with the early rave scene, Dom got into production when one of his friends Nico Sykes, already an accomplished engineer told him that all he needed was a sampler and a computer to get going. With the early crop of bedroom producers using ‘Akai s1000’ samplers, Dom, wanting to be different, went out and purchased a ‘Roland S760’ and hence the name was born. Dom had always had a lot of music in his life with his parents being opera singers and having been taught both piano and trombone to a high level at school, so it was fitting that he should also try to make a career out of it. Dom started releasing records through ‘No-U-Turn’ records in 1994, a small independent label that at the time was gaining a large amount of respect from the then famous radio DJ’s of the day including the now highly credited ‘Grooverider’, who helped him out immensely at this time providing almost blanket coverage of Dom’s music on his shows. On the strength of this early success and regular airplay, Dom persuaded his bank manager to lend him enough money to upgrade his home studio to professional standards. Shortly afterwards in 1996 he was discovered by ‘Moving Shadow Recordings’ and signed a three album deal with them, his reputation further cemented when Dom was chosen to collaborate on their 100th release, ‘Distorted Dreams’ (SH100) along with Rob Playford, and upcoming star Goldie. Dom’s success continued to grow over the next few years, as did the drum and bass scene, which was now becoming a global affair. He was now DJing himself all over the world on a regular basis, had released records on most of the major drum and bass labels, and was frequently being asked to do remixes of dance and rock tracks, many that he would turn down on the grounds of not liking the originals! He did accept a few and having been a fan of theirs for some time, couldn’t say no when he was asked by electronic pioneers ‘Art of Noize’! When he wasn’t travelling to distant places, Dom now found himself engineering and producing tracks for other Drum & Bass DJs/Artists who did not yet know how to use studio equipment themselves. During this time Dom mixed and produced various Drum & Bass classics including ‘Mutant Revisited’ and ‘Sonar’ with DJ Trace, and others with ‘Virus’ boys, Optical and Edrush; it was in fact Dom that introduced them to each other! Moreover it was for this first collaboration with Trace, that Dom created the now legendary ‘Tramen’ break – a break that has been sampled and used in Drum & Bass tracks by other artists ever since! The late John Peel was also a great fan of Dom’s work and asked on a couple of occasions to record with him, although unfortunately due to their separate busy schedules this dream was never realised. Autumn 1998 saw the long awaited release of Dom’s first album, ‘Industry’ – to unanimous public and critical acclaim. This album was so popular on its first two weeks of release that it went in at No.3 on the Music Week Independent Album Chart, with only ‘Tribe Called Quest’ and ‘Lauren Hill’ beating it to the top slot. Several BBC documentaries also used sections of this album for their theme music including ‘Merseyside blues’, a popular police reality series in 1999. In 2001,while working on his second album ‘Back for the future’, Dom, alongside Derrick May and Surgeon, were each commissioned to write five exclusive pieces of music for ‘Midnight club’, one of the first games to be released on the Playstation 2, these tracks were also subsequently released on Moving Shadow, one being the mighty ‘Imagination’ a monster of a track that Dom will always be remembered for, and that has been remixed countless times since. Although he prefers making albums, Dom has continued to write music occasionally for ‘Rockstar’ and other games companies. His third Moving Shadow album ‘Chronology’ came out in May 2004 to yet more critical acclaim. He featured quite heavily in the music press around this time including a five-page studio feature in ‘Future music’ in their November issue, which saw Dom being interrogated for his engineering and production skills. In late 2005, having fulfilled his commitment to Moving Shadow, Dom started his own record label ‘Dom and Roland Productions’ to release collaborations between himself and the crème de la crème of drum and bass artists whom he had met over the years. Now on the fifth release the label is going very well with a lot more already planned for 2007 including his fourth solo album ‘Odyssey’ to be released later in the year. Dom remains to this day at the forefront of music technology and has always found himself happiest in the studio with his equipment. He is proud to have never ‘sold out’ to produce the more pop-orientated, moneymaking ‘coffee table’ drum and bass, and remains at the pinnacle of the underground scene. He is highly respected as a result, even outside the drum and bass circle. He also now helps music software and hardware companies like ‘Native Instruments’, ‘Sonalksis’, and others, with testing and ideas for new and exciting innovative studio products in his spare time.